A meetup is usually a small local gathering of people with shared interests that takes place monthly or weekly and lasts for about 3 to 4 hours each time. Meanwhile, a conference is gathering of people from different parts of the world usually happens once in a year which spans out in 1 to 3 days. A conference can have single or multiple tracks. What is the format of Swift India Conference? During the conference day, there will be 20+ speakers giving 20-minute presentations each about various Swift topics such as Open-Source Swift, Server-Side Swift and Swift on Android, as well as using Swift for iOS, watchOS, and tvOS development, and any new platforms Apple will announce at their annual WWDC conference. There will also be a few presentations about other important career-related topics, such as design and workplace best practices. In addition to 20-minute presentations, attendees will have the option to attend Q&A with each speaker. 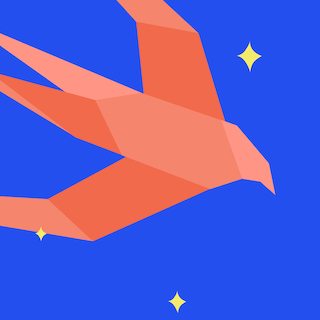 Share the story of Swift India Conf with your teammates and colleagues. Make sure everyone attends the conference. If your organization would like to sponsor the event, please contact us. Where can I see the presentation topics? We do make sure that all speakers present the latest and most relevant topics, so topics are usually not announced until about two months before the conference. And you can see the complete list of all presentation topics with the proper schedule on the website. I am a beginner. Is it ok for me to attend the conference? What can I expect from the conference and attendees? Yes, you can. Some of our attendees are beginners. The conference will help accelerate your learning and make connections with others who have been in your shoes before (aka everyone!). We encourage all our attendees to keep a beginner’s mind and provide a friendly and harassment-free environment. You can view our Code of Conduct here. All conference talks will be in English.